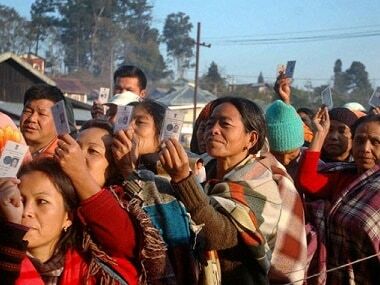 Kohima: Around 17 percent polling was registered in the first two hours of voting for the 60-member Nagaland Assembly on Tuesday, a top election official said. 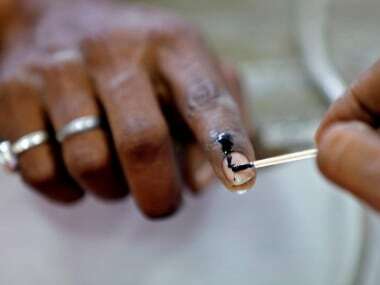 Nagaland's Chief Electoral Officer (CEO) Abhijit Sinha said a blast was reported from a polling booth at Tizit village in Mon district about an hour before the voting started. "A handmade crude bomb was lobbed at the polling booth at around 5:45 am, in which one village council member, Yanlon, suffered minor injuries in the leg," he said. However, polling is continuing in the said booth. There were no other reports of violence from anywhere in the state till 10 am, Sinha said. 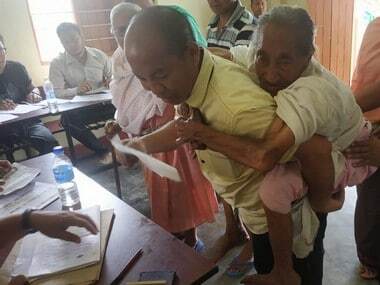 With Nationalist Democratic People's Party (NDPP) chief Neiphiu Rio winning the Northern Angami-II seat unopposed, polling is being held in 59 seats in the north-eastern state. 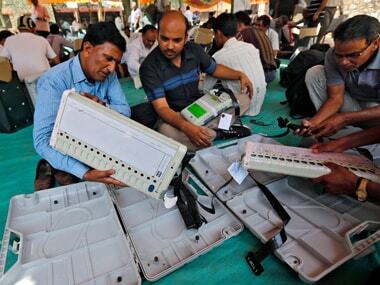 Polling had started at 7 am, but due to malfunctioning of electronic voting machines (EVMs) and voter-verifiable paper audit trail (VVPAT) machines, voting in around 100 polling stations got delayed, the CEO said. Chief Minister TR Zeliang and his family members cast their votes in Jalukie town of Peren district. 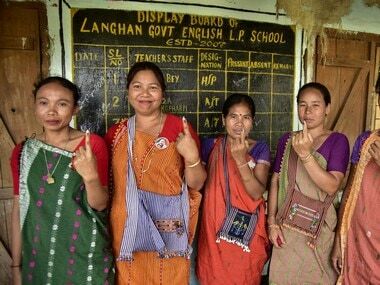 A total of 11,76,432 voters – 5,97,281 men, 5,79,151 women and 5,884 service voters – are eligible to exercise their franchise in the Nagaland polls.